After my attempt to go back to school the beginning of my sophomore year and trying to be back in the “high school life”, I knew it was not meant for me. Besides not being able to keep up with my peers physically and mentally because of my Dysautonomia, it seemed that nothing held the glory that I once saw in my freshman year when I first started high school. I felt alone in my school despite it being one of the largest schools in Texas. My two best friends would help me the best they could at school, but unfortunately we were all on different curriculum paths so only got to meet up at lunch time. I had a difficult time finding someone who could relate to my feelings of living with a life-changing illness while recognizing that I do not prefer to obsess or hyper focus about my symptoms. (Which I understand can be confusing. I just have a difficult time focusing on me and do not want to be a complainer.) I felt out of place and awkward in my classes – especially when the brain fog would hit with a vengeance. When this happened, simple words would fail me and I would become confused with the easiest of tasks. Attempting a “normal” personae was exceptionally exhausting to me and trying to pretend it did not bother me was no longer working. That period of time was terrible for me…more so than usual. I felt like I was on one side of a glass wall in my classes and my class mates were on the other. It seemed like they were hesitant to walk to my side of the glass and had a mixture of pity and avoidance in their eyes. Maybe it was because I represent something that we all want to avoid: that sometimes negative things in life can happen to someone young unexpectedly and they, like I used to be, prefer to be oblivious to sometimes the harsh realities of life. Besides having to wake up at 5 in the morning to start my medicine regimen, I had to go to the school nurse at lunch time for my scheduled array of medicines only to have reality hit me despite me trying to live in denial that I was “fine”. Each visit, the nurse kindly insisted on checking my blood pressure and despite my assurances that I felt okay (though I really did not), my blood pressure was very low. And, when I insisted she did not need to call my mom and asked to be able to go back to class, when I got up to try to go, I would pass out (this started happening on Day 2 of sophomore year). Rightfully so, she did not exactly take my word for how I was doing from then on out. Trying to make it a full day of school and keep up with homework, I had to humble myself and let go of my pride. I had to accept the fact I needed help by doing school at home. It made me sad that things were not the same and that everything has changed dramatically. However, after I made that decision to go to homebound, it felt as if a heavy weight was lifted off my shoulders and I could be my true self. A girl living with a debilitating chronic illness. I embraced my homebound “hidden life” with open arms. (Once again, this picture is proof that you can look “healthy” while having a unpredictable hidden illness.) 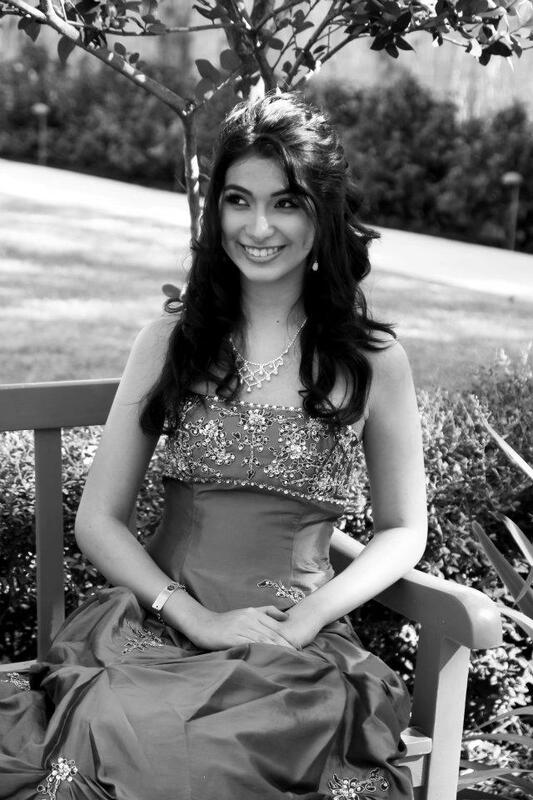 I was determined to go to my sophomore year homecoming dance because it was the one year anniversary when I first fell ill and I was determined to overcome this date I had dreaded for a year. I did not mind what I had to “pay” for this one night out. Extreme symptoms, exhaustion, low bp, etc for days after this night. However, this acceptance did not mean I accepted defeat from life. Just an acceptance that I have to live within boundaries that works for me. The one event that was very important to me mentally was making it to my sophomore year homecoming dance. Besides homecoming being a very big deal in Texas, more importantly, it was the one year anniversary that changed my life forever. One year ago from that day was when I first collapsed at my freshman year homecoming dance and I could not have imagined then the journey and struggles I was about to face. So, going to my sophomore year homecoming dance, I didn’t care if I could only be there for five minutes before my symptoms kicked in – I was determined to go to prove to myself I could beat this thing. Rachel Banister, a family friend, took the picture of me to the left before the homecoming dance. One of my best friends, Erin, was behind Rachel making me laugh (even though she did not want to go to homecoming that year, she went to support me.). That’s what I love about my best friends. They are always there for me, making me laugh despite my circumstances. And, I did not mind what I had to “pay” for this one night out. Extreme symptoms, exhaustion, low bp, etc for days after this night. For me, this was a mental victory. I could now go to homebound with at least one less regret on what could have been in my high school existence if I had never been ill. It was shortly after going on homebound and in the middle of one of my many ER trips and medical testing where I found my purpose and how I could bring something positive out of this situation. God led me to one thing after another until the idea of reaching out to other teens struggling like I was came to life. I grasped that idea to help the “hidden” and moved forward with it with the help of my mom and my adult friends. Mik’s Hidden Hearts Alliance was then created because I do not want any other Dysautonomia teen to ever feel like they are alone. I want them to know they do have a friend who cares. Then and now, reaching out to others fills my heart with joy and my wish is to brighten their day, remind them they are not forgotten and to give them hope. It makes all the pain and tears I’ve gone through worth while. Fast forward to today, I am stronger from the things I have battled through and I have great determination for the future. My relationship with God is closer because of my trials and journey. Though I still have certain struggles both physically and mentally, I strive to always keep my eyes on Him. I will try my best to walk on the path He deems best for me. I’m not perfect and I’m not a saint, but I sure can honor Him, glorify Him and help spread His word. Putting my prayers into action, I want to reach out to the ones who feel hidden and to do what I was meant for in this world the best I possibly can. This has been my journey and I hope it can reach out to any of you who are struggling. Though I have my share of “down” days, it is my daily goal to see the blessings around me. 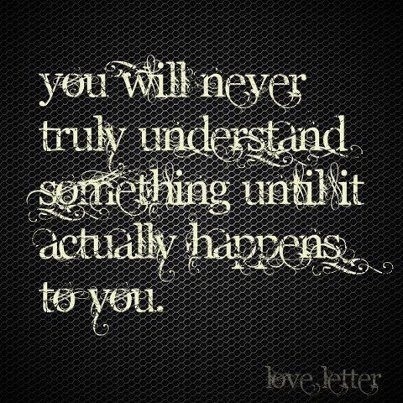 Your life experiences will take you down the path you were meant to be on. But it is your decision to let your struggles make you stronger or to let them tear you down and break you. Reason for me to smile this week: The planning committee for the Boo Bash to help raise money for more Hope Kits for hidden teens have some GREAT entertainment lined up. More details will be sent out soon! Stay tuned! Dys Song of the day: This song has been really special and important to me. It is another song I listened to for comfort and empowerment for the days I was really low. Posting from Mik’s Mom: Click this link here for a very informative read from DysGirl.com. I completely agree with her that this should be standard on all physical exams! If you are a teen or have a teen who you suspects has Dysautonomia, ask your doctor to do this simple Poor Man’s Tilt Table Test. Are the results of the Poor Man’s Tilt Table Test leaning towards confirming the diagnosis of Dysautonomia? Request a referral to see a Dysautonomia specialist in your area and request a tilt table test. For a list of specialist in your area, click here. And remember, please talk to your doctor about any medical questions. I am mom of a patient – not a medical doctor. This information is here only for information. And always remember – keep are searching for your answers, your diagnosis and treatment. Many go through months, if not years, before an accurate diagnosis is made. Don’t Give Up! 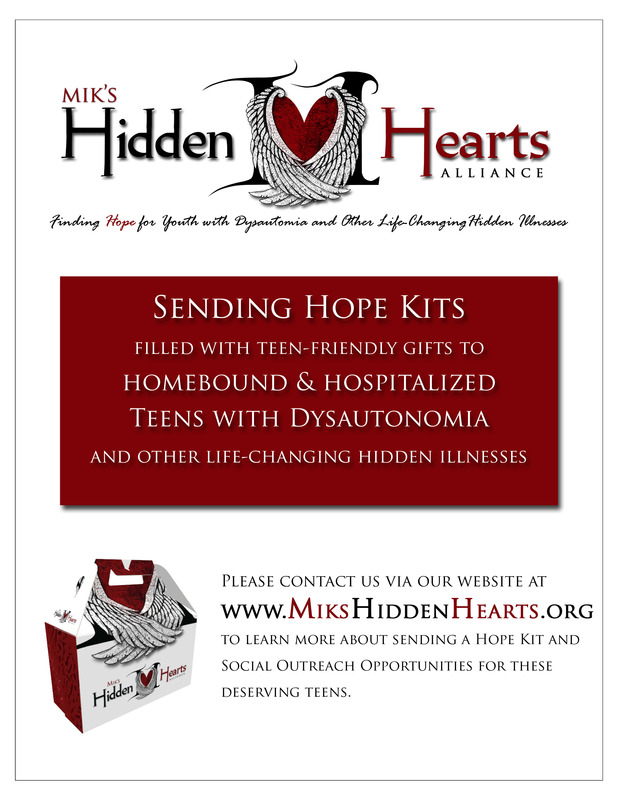 Mik’s Hidden Hearts Alliance mission is to offer hope through empowerment and community awareness to both hospitalized and homebound teens and their families who suffer from Dysautonomia and other life-changing hidden chronic illnesses. Hidden Teens and their caregivers: Join our private Facebook forum support group! This will help with outreach, bring awareness and hope! Mikaela will be focused on the teen led topics and I will be focusing on the caregivers led topics. However, feel free to post, give ideas, etc! Looking forward to hearing from all of you! Dysautonomia “subtype” focus for today: Neurocardiogenic Syncope Syndrome, which is what I was officially diagnosed with. It is a temporary loss of consciousness associated with a drop in arterial blood pressure, quickly followed by a slowed heart rate. Click here for some easy to understand information about symptoms, treatment options and more. Written Monday, June 25, 2012: After a long, fun relaxing week visiting family, (and getting spoiled by my grandparents), I am starting to plummet down the rollercoaster again today. So far, today has brought me: terrible migraines, chest pain, difficulty staying on my feet, flared up Fibromyalgia (killer all over nerve pain), and of course, the low blood pressure. It’s to be expected, but still frustrating at the same time. Just when I think I have the hang of this illness after suffering from it over a year and a half, a day like today happens along and reminds me how much I do not care to be on this rollercoaster ride. 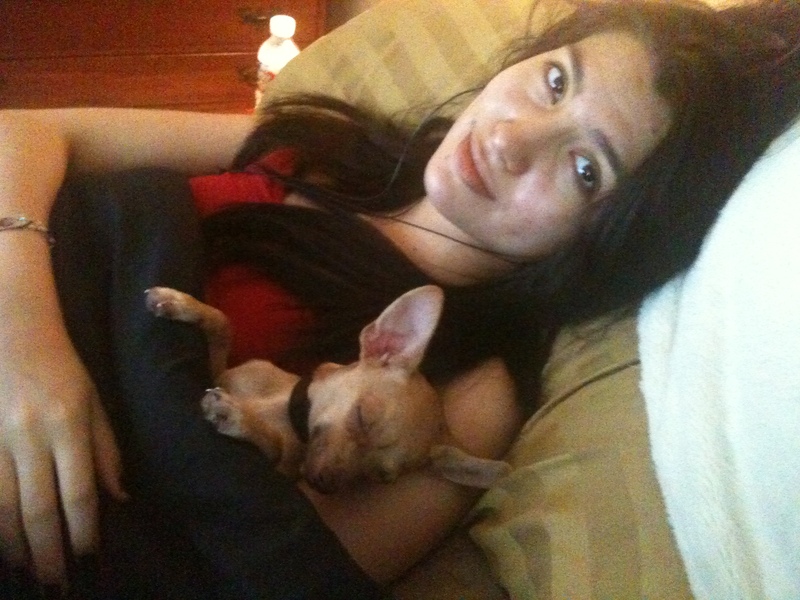 But hey, all I can do is sing Hakuna Matata and make the best of it…so I snuggled with my puppy chihuahua, Alice, and had a movie marathon. On a positive side note, I will be delivering a requested Hope Kit tomorrow to a very seriously ill teen. It makes me incredibly happy to give out Hope Kits and to see people’s reactions when they receive them…knowing that I was able to put a smile on their face. So that is my reason to smile this week, even if I’m going through another crazy rollercoaster ride. ‘Cause today I swear I’m not doing anything. On a serious, heartfelt note: My fellow chronically-ill teens – always remember you really are not HIDDEN. There is Hope. And you have many caring hearts, including mine, who will continue to have you in our thoughts, prayers and actions. *Know of a teen either hospitalized or homebound that could use hope in dealing with their hidden life-changing chronic illness? Please contact us for a Hope Kit at mikaela@hiddenheartsalliance.org. We can ship nationwide.